Trade shows, conventions and events in general have traditionally been isolated from the rest of a brand’s sales and marketing ecosystem. 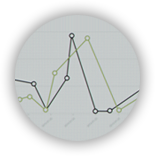 Transformative content tells a story, and the activity data behind it tells a story as well. 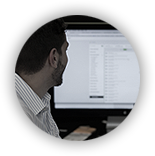 When the two are coupled with lead acquisition, you can begin to build a profile of customers and prospects. 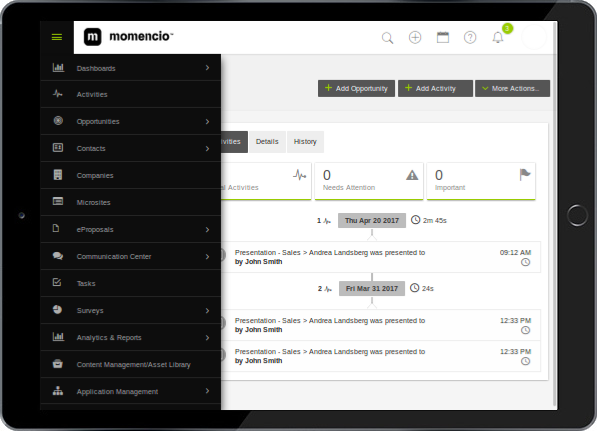 Our momencio™ can then continue the conversation by sending digital assets in real-time, and automatically creating personalized microsites for your prospects to experience. Now you part ways with a well-defined and executed next step in the relationship. Just because the event is over, doesn’t mean you should forget about the prospects you met there. 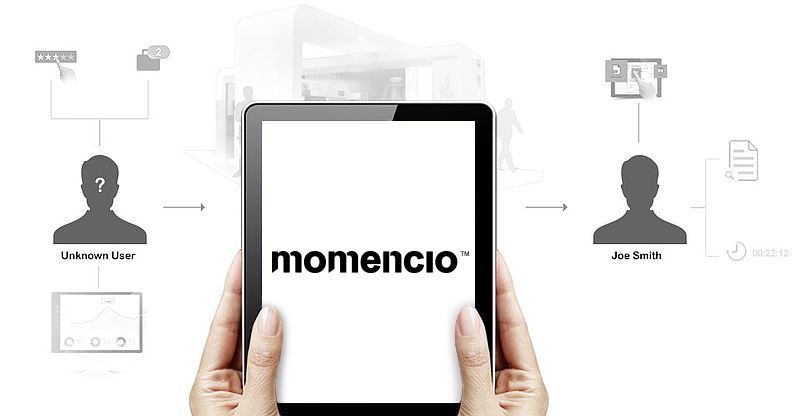 momencio™ takes over with real-time email and personalized microsites with requested digital assets and collateral. 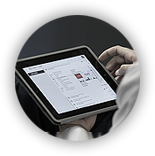 Whether from their desktop, tablet or smartphone device, your prospect can see the assets they’ve requested. 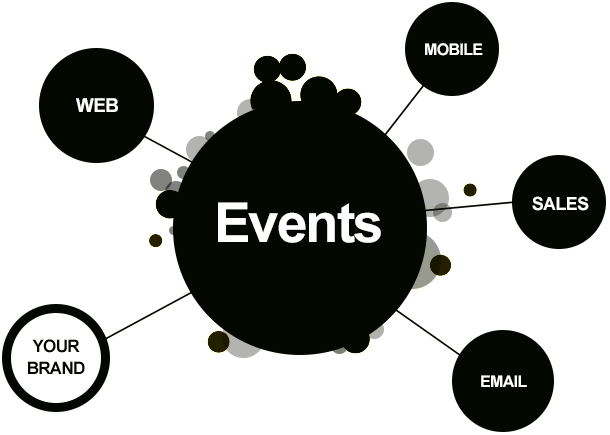 And the best part… complete analytics across the event, email and online channels at the individual customer level. Join these leading brands and revolutionize your event marketing! 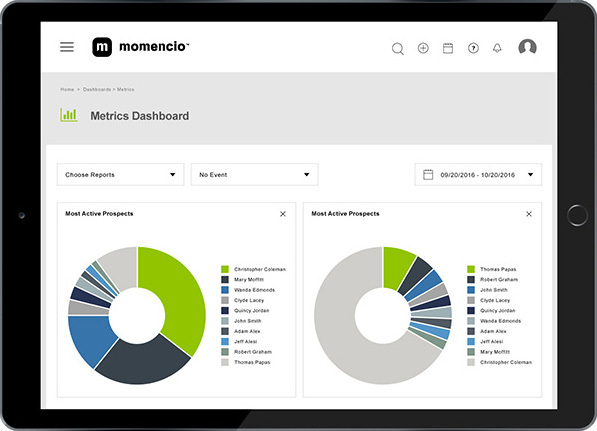 Customer engagement metrics and insights delivered in real-time by a platform that knows your customer.